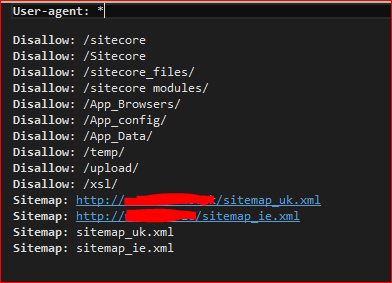 Technically, the URL to the sitemap(s) must be absolute. Yes, there’s no earthly reason why this must be so, but that’s what the specification says. 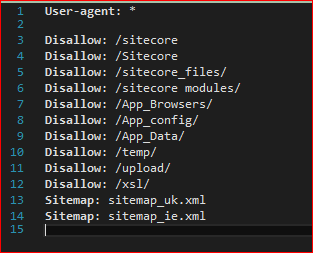 Fortunately, Google will handle relative URLs – so the definition shown above should work for Google – but it might not work for other robots.Sadly, the SitemapXML module for Sitecore automatically adds an entry for the maps it generates – but it’s on a relative URL. The best bet for this is to double up – manually put your absolute URLs into the robots.txt file, and let the SitemapXML module add the (unnecessary) relative URLs too. It’s less than ideal, but that should work.